Coal is composed of organic matter in the form of plant fragments. It is formed over long periods of time when plant residues pile up faster than they can decompose. It is mostly carbon. What makes coal valuable to people is that it can burn and be used as fuel. 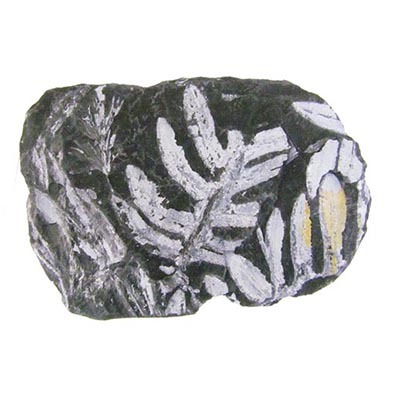 The coal that we use today was created millions of years ago during the Carboniferous Period. At that time in the earth's history there were large areas of the earth's surface that was covered by forests of ferns and primitive plants. The climate was warm and wet with large swampy areas. Plants grew so fast that there wasn't time for the old plants to break down into soil before they were buried by new plants growing on top of them. Sometimes flooding occured. The process of decomposition needs oxygen to break down the plant fibers. So once the old ferns were buried by earth or water decomposition stops. All this happened over millions of years, piling up thick layers of ferns and other plants. The weight of the top layers squeezed the bottom layers. This squeezing is called pressure. Time, heat, and pressure are what turned the plants into coal. There are different types of coal. 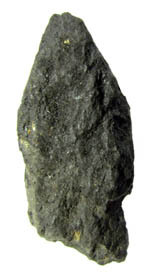 * Lignite is black and has a crumbly consistency. * Bituminous coal can be dull to shiny and black. These types of coal are all basically made of the same stuff. What makes them different is the amount of pressure that forms them. Lignite is the softest. Once lignite is formed more heat, pressure and time will change it to bituminous coal. It is harder and provides more energy than lignite. Still more heat, pressure, and time will convert the bituminous coal into anthracite coal. People have used coal for fuel for many centuries. Today there are so many people burning coal and other fossil fuels That it is causing problems. Because of it's ability to burn we have been using coal as a fuel for generations. It made possible the industrial revolution and is still in use around the world today. While it is a cheap power source it creates pollution. Many people are looking for energy sources that are easier on our environment.